Have you ever experienced a sudden craving for a food you've never been that into before? For example, maybe one day, after 28 years of never having a sweet tooth, you suddenly wake up with an insatiable taste for donuts. Or potato chips. Or red meat. What gives? That said, we are more likely to develop cravings for certain foods, and there are a few common reasons this happens. To find out more about the science behind our cravings, we consulted Magor, as well as three other nutrition experts. To get to the bottom of why we seem to develop food cravings out of nowhere, keep reading. WHAT KIND OF FOODS DO PEOPLE CRAVE? Wouldn't it be nice if we all naturally craved kale and chia seeds? Unfortunately, our bodies don't quite work like that. "Most often cravings are for calorie-dense foods, like chocolate, sweets, chips, meat, and snack foods," says Magor. The reason? 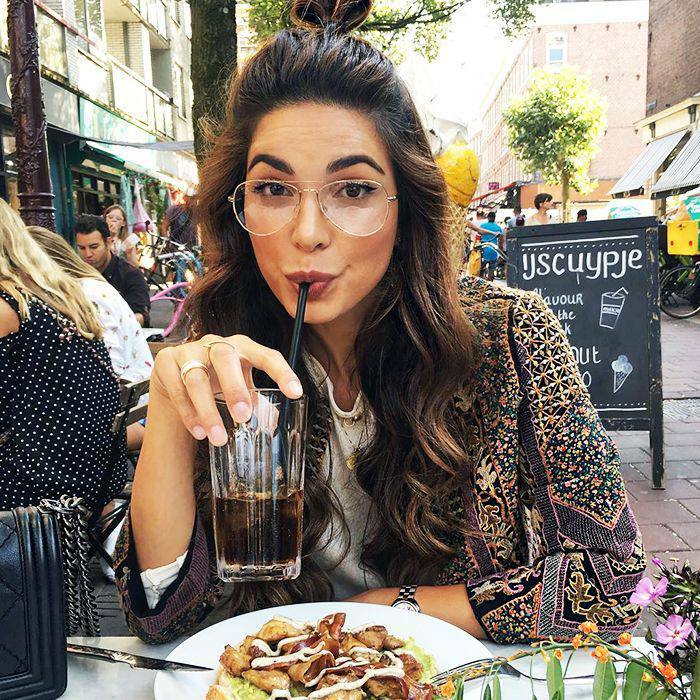 According to health coach and certified nutritionist Kelly LeVeque, our bodies quickly turn these foods into glucose, which releases dopamine, a "reward hormone" in the brain. "The more of those foods you eat, the more you crave," says LeVeque. That is to say, eating things like ice cream and french fries is such a feel-good experience that our bodies want to do it more, creating a cycle where the more we do it, the more we want to do it. Ugh, biology, why you gotta play us like that? The fact that our bodies naturally crave unhealthy foods seems like a terrible design, so you have to wonder, why is it? One of the reasons, Magor explains, is that our bodies haven't evolved as quickly as our lifestyle and food options have. "Our ancestors were hard-wired to want high-energy foods such as fat, sugar, and protein because food was scarce, and these kinds of foods allowed them to survive," she says. In other words, it's our basic instinct to want these foods, but because they're not scarce anymore, there's the risk that we'll eat too much of them. Stress is another common cause of seemingly random cupcake cravings. "When we are stressed, our brain responds by releasing chemicals to make us feel better, like adrenaline and cortisol. Unfortunately, these same chemicals also trigger cravings for the foods that neurologically make us feel better too, like sugar, fat, and salt," explains Rebecca Lewis, a registered dietitian at HelloFresh. On an emotional level, nostalgia for certain foods can be a trigger as well. "From childhood, we often think of sweet or high-fat foods as 'treats,'" Magor explains. So in adulthood, we fall back on them to comfort or reward ourselves. Then, we get that pleasurable dopamine rush, and the cycle perpetuates. WHY DO OUR CRAVINGS CHANGE? Back to that unexpected sweet tooth you developed out of nowhere—what might cause a person's cravings to change like that? As Magor tells us, cravings are often an indication of what's going on within our bodies, like possible nutrient deficiencies. "Nutritional needs can drive us to 'crave' certain foods that are high in the particular nutrients we are lacking," Magor says. Hormonal fluctuations, changes in emotional state, and new social or cultural influences can also lead us to desire foods we never cared about before. HOW CAN WE CONTROL OUR CRAVINGS? Food cravings are inconvenient, but luckily they aren't totally out of our control. After all, unlike wild animals, we humans have the ability to look at ingredient lists and consciously avoid foods that contain too much sugar, fat, or salt. You don't have to cut out any food group entirely, of course. Here's a suggestion from Kelly LeVeque: "If you want to enjoy some carbohydrates, pair them with a little protein, fat, and fiber to elongate your blood sugar curve naturally and prevent a hard crash into cravings." It's also worth noting the specific ingredients you're craving and seeing if you can satisfy them in a healthier way. For example, a hankering for salt might mean you're lacking chloride, something that happens with stress, says health and wellness expert, Lionel Bissoon, MD. To avoid binging on barbecue chips, Bissoon suggests sprinkling some pure, unrefined sea salt or mineral salt onto your healthy meals to alleviate these cravings. Similarly, a desire for soda or sparkling water could equal a calcium deficiency, while a sudden craving for sweets might indicate a lack of the mineral chromium, which also depletes when we're stressed. To make sure you're getting all the nutrients you need, try forming a daily vitamin routine. 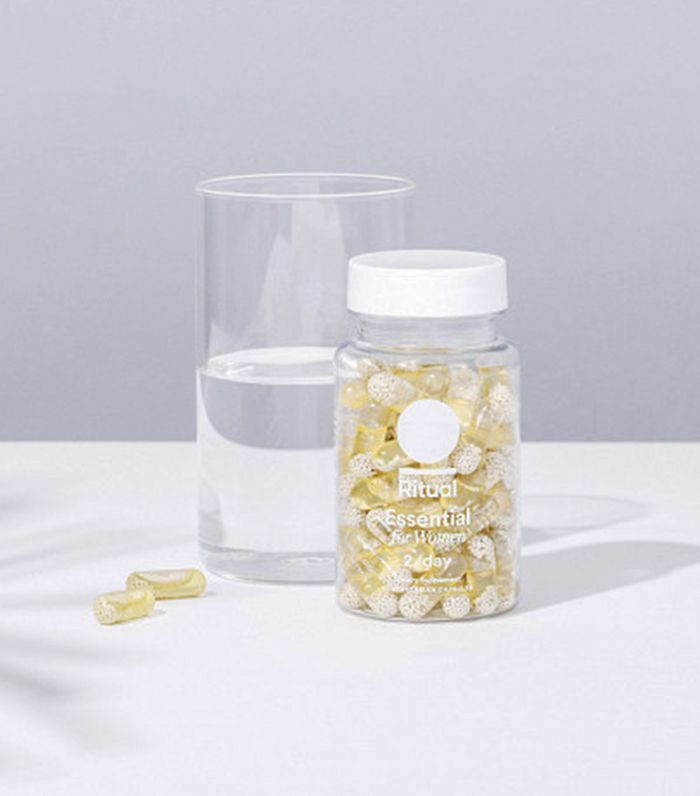 Here at Byrdie, we're big fans of the tried-and-tested multivitamins from Ritual. Have you ever had a food craving develop out of nowhere? Tell us about it in the comments below!